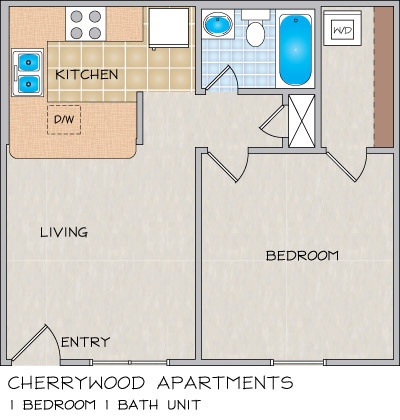 Please send me more information about Cherrywood Apartments. Monday - Saturday 8:30 a.m. to 5:00 p.m.; Sunday By Appointment Only. 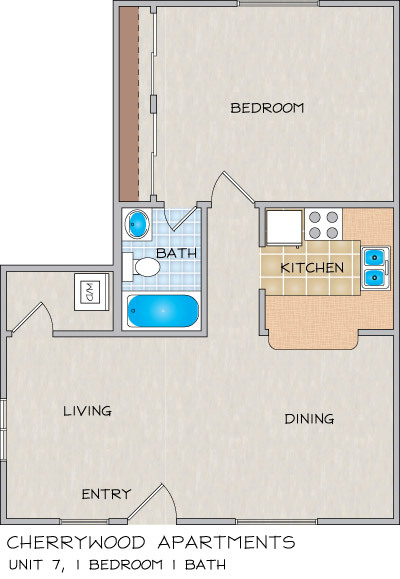 Here at the peaceful Kenner, LA apartment community of Cherrywood, every single one, two, or three bedroom apartment home for rent includes a washer and dryer. A lovely pool is nestled within a New Orleans French Quarter-style courtyard for your enjoyment. We are conveniently located on the bus line, and within walking distance to shopping and dining. 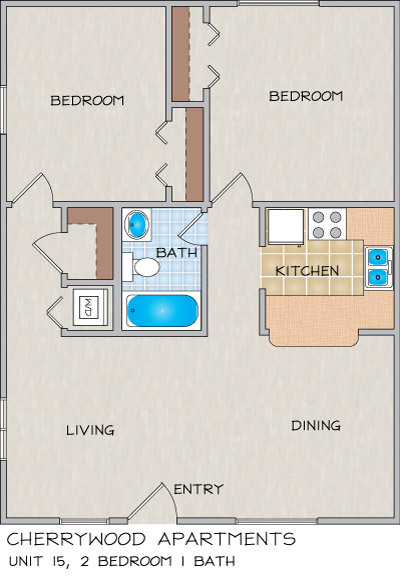 You can select from many different floor plans and have your pick of the best apartments in Kenner, La suited just for you. 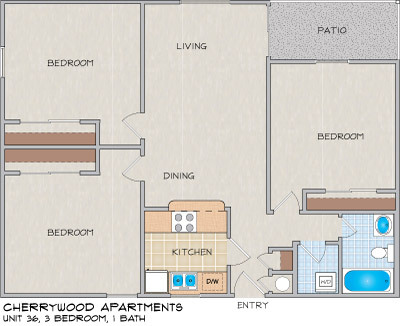 With a community of just 59 apartment homes, Cherrywood is a quaint property. You'll come to love the free off-street parking and, if you hurry, you may be able to get one of our covered parking spaces. 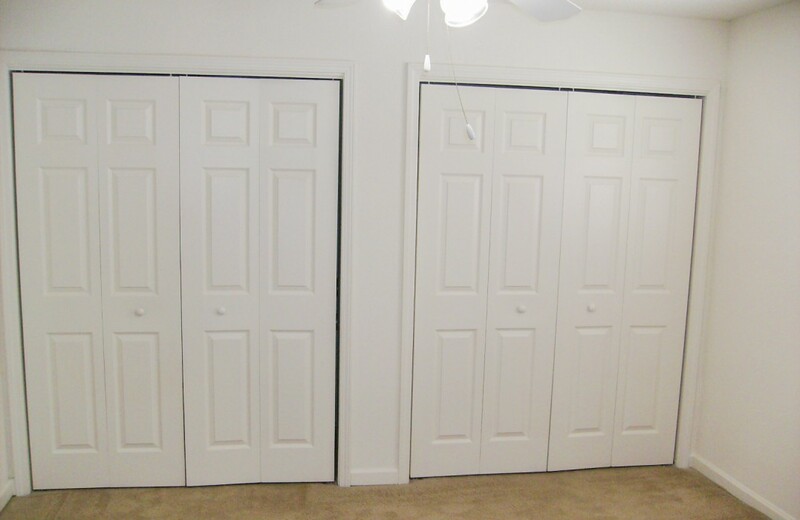 If you are looking for an apartment for rent in Kenner, you can have it all and more at Cherrywood Apartments: location, convenience, and comfort! Hurry in! Remember, there are only 59 homes at Cherrywood Apartments. I have lived in Cherrywood Apartments about a month now, and I have never been happier. The environment is safe and secure. I feel comfortable walking around late at night. The neighbor's are all very friendly. No one is to loud. I have called the office and never not gotten an answer. Maintenance responds to calls immediately. They definitely care about how you feel here. This was the best decision I have made. I have been in this apartment complex for quite sometime now and all I can say is Im gonna be sorry when I buy my house. 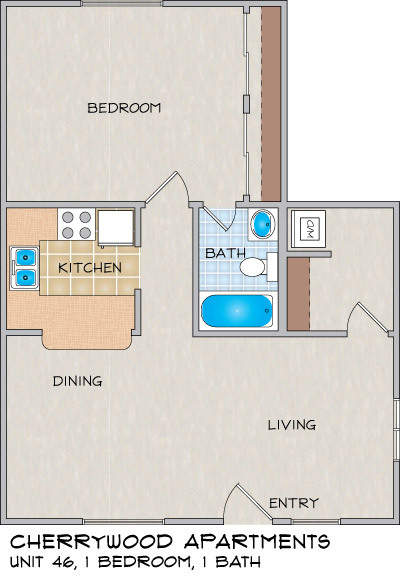 The apartments here are all clean,spacious and affordable. I have no complaints at all. If something needs to be done in your apartment Ms Rossly ( I hope I spelled her name right), is the lady to get it done she is the apartment manager and she is so helpful,friendly and professional.I am really gonna miss her. I would not want to live anywhere else in Kenner if I had to be in an apartment. 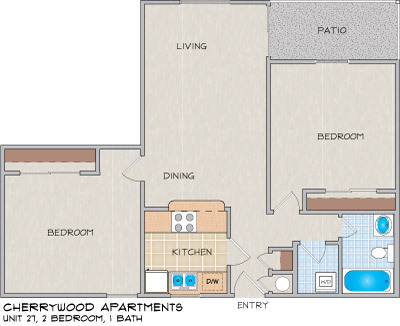 Cherrywood Apartments is the place to be. cherrywood apartments Our apartment complex is a little small and compact, but it is nice! The only problem I have here is the parking. We have quite a few people that like to park here that are not supposed too... it's a beautiful little complex located outside of new orleans and we love it! vivo aqui desde el 2011 y es un lugar muy trankilo y silencioso.me gusta vivir aqui porque ofrecen muy buen mantenimiento y sobre todo muy rapido y eficiente.y es un area cercana a todo medio de transporte ,tiendas,supermercados y muchas cosas mas.me encanta vivir en cherrywood apts. I have only been here just around a few month i would say 3 months now and my time here has been great! the environment here is wonderful and clean. the neighbors are very nice, you barely know that they are there. The staff and mantainace are wonderful they are quick and does whatever it takes to get the job done. If there is a problem they are there in a matter of minutes. I dont think i will be moving anytime soon because i love it here. The parking is wonderful no one fights for spots. 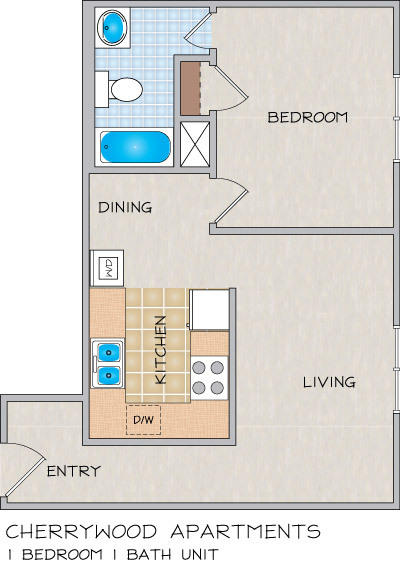 I would recommend this apartment to anyone. I have been living in this community for almost 2 years. it could not be any better. the apartment is really nice. the staff working here are so helpful. I dont usually have any problem at my apartment, however if there is any, they take care of it right away. It is very close to public transportation, and all convenient stores such as Walmart, windixie, Walgreen, and also a big shopping mall. there are also plenty of good restaurant and all the fast food franchises as well. 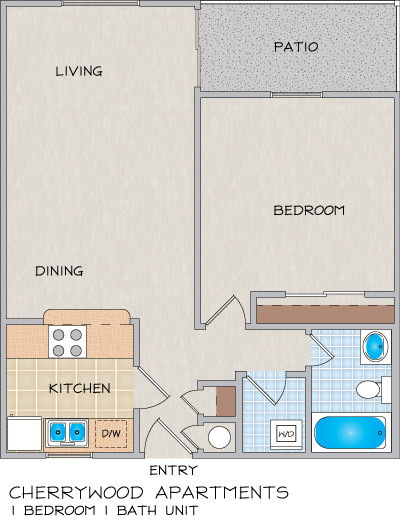 i will definitely recommend this community to anyone wanted to rent an apartment in Kenner area. We have the best staff. Super curtious and very fast response to any issues no matter how large or small. It is great to live in such a wonderful neighbor hood. I've been stayin in the Cherrywood for 2yrs and i got nothin negative to say the staff is down to earth and always greet u with a smile and whenever i had a problem which had been minimal Mr Keith the Maintenace guy was quick to respond to make sure the problem was corrected. I have lived here since 1992, and I don't want to move. I would like to stay as long as possible. Management and Maintenance have always been helpful, and always go beyond. Community and neighbors are very pleasant. I love the pool area, the flowers, and the grounds are well kept. I am happy here. I have always loved living in cherrywood apts,since 2001,and returned in feb.2010.I love our manager joan cino,and our maint man kieth,theyre here for me,and my five yr old jaylah.whenever i have a problem with anything in my apt,its fix in a timely manner.and when iam down,and need to talk there here to listen.were just like family at cherrywood,and iam not going anywhere else,cause this is home for us.